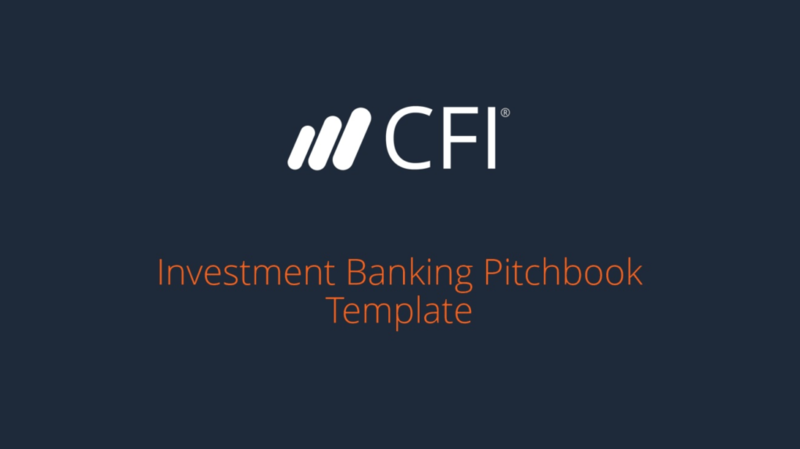 The CFI Investment Banking Pitchbook template is free and available for anyone to download. If you’re looking for an example or a guide on how to make your pitchbook, this will be a great starting point. 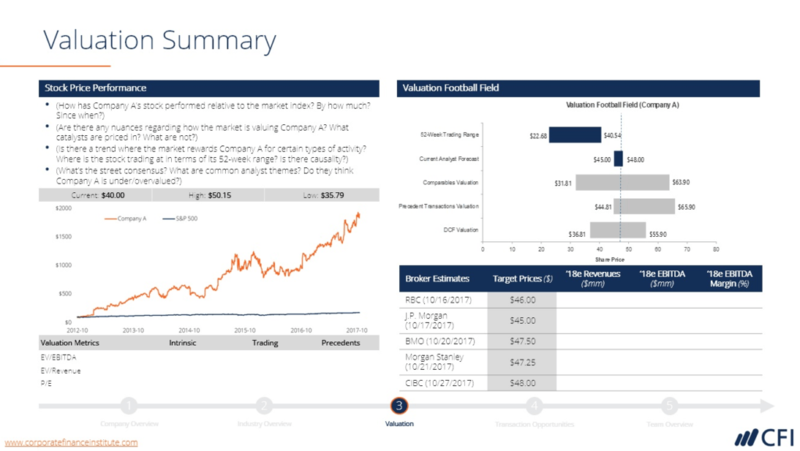 The presentation is based on a hypothetical pitch to a board of directors on several potential acquisition targets, which is a very standard type of investment banking pitch. 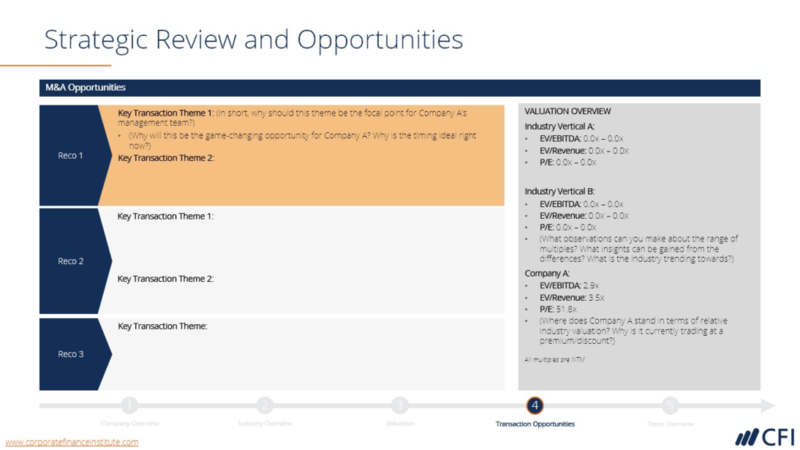 The template is divided into five main sections: (I) Company Overview, (II) Industry Overview, (III) Valuation, (IV) Transaction Opportunities and (V) Team Overview. Each of the sections below is discussed in much more detail in its own, independent article. Click on the link below to learn more about each section in the template. The pitchbook is mean to be used as an example to build on. It provides the basic building blocks that are included in every presentation and can easily be expanded on. 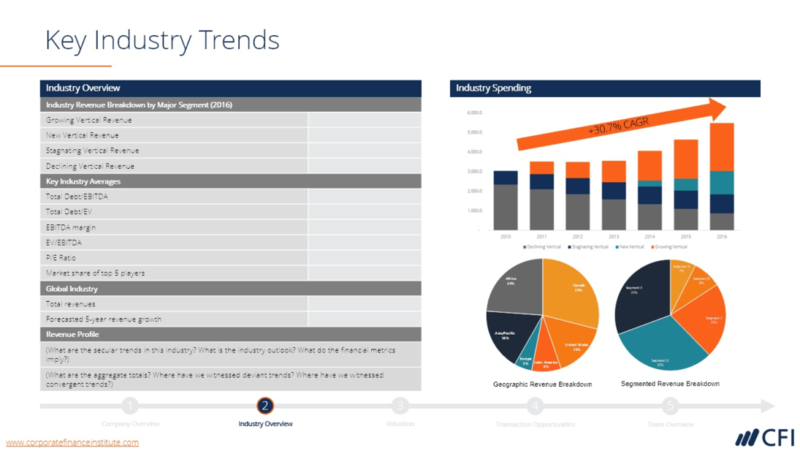 What you will get is a real-life example of the typical formatting, style, and design of powerpoint slides in an investment banking presentation. 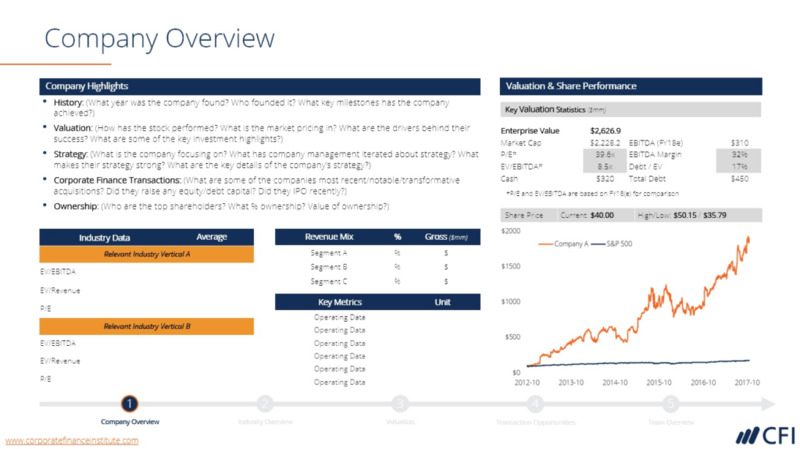 If you’d like to see an example of a pitchbook from an investment bank, you can see this example presentation made by Elliott Associates to the shareholders of Iron Mountain Incorporated in 2011. Another interesting example is a special committee investor presentation made to Dell shareholders prepare by JP Morgan and Evercore Partners. 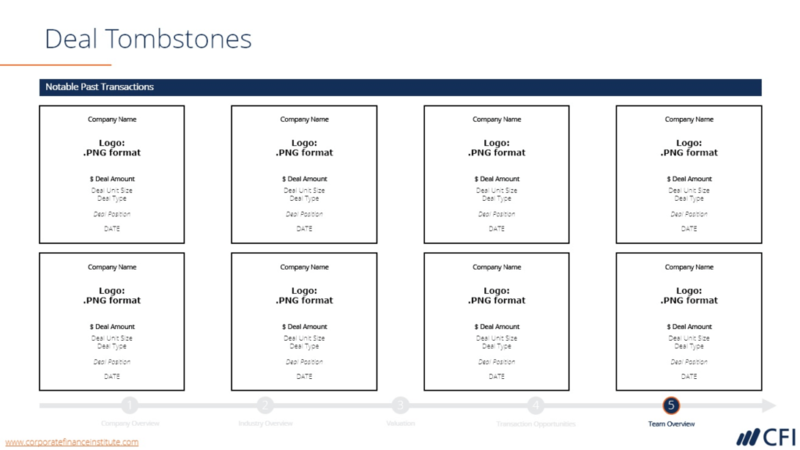 These two decks will give you plenty of ideas for slides to add to the CFI template.